The Governing Body, subject to the general control and supervision of the General Body, holds the responsibility to pursue and carry out the goals of the organisation. It determines the direction and scope of the activities of the organisation in order to steer the PKSF towards its intended goals. The Governing Body holds the financial control of the organisation, including approval of projects and making grants, donations, loans or other financial assistance to the Partner Organisations (POs). The Governing Body consists of seven members. The Government of Bangladesh (GoB) nominates the Chairman and two other members from amongst individuals having a record of service in activities of poverty alleviation and inclusive development and/or an interest in such activities. The General Body, in its AGM, elects three other members representing the Partner Organisations and/or individuals having demonstrated contribution in the development sector. The Governing Body, in consultation with the Government, appoints the Managing Director who is the Chief Executive Officer of the organisation and an ex-officio member of the Governing Body and the General Body of the PKSF. Dr Qazi Kholiquzzaman Ahmad, a renowned economist, development thinker and specialist on Climate Change, is the chairman of PKSF. 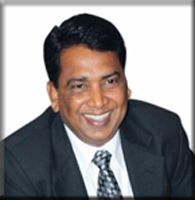 He is also currently the chairman of the Governing Council of Dhaka School of Economics (DScE). Dr Ahmad’s vision of development centers around the establishment of human rights and human dignity for all, and the starting point for moving towards that goal is to focus on ensuring basic education, skill training and healthcare for all without exception. He was the co-chair of the committee that formulated Bangladesh National Education Policy 2010, which focuses, among many other aspects, on inclusiveness and quality of education. Dr Ahmad is a well-known expert on climate change, and is an advocate on the concerns about its adverse impacts on both natural and human systems and how to address them. He has for years been strongly promoting sustainable development in all its aspects. He has played a lead role at the national level, in the case of both the government initiatives and civil society efforts, in the formulation of proposals and recommendations relating to the Post-2015 Development Agenda from Bangladesh perspectives, submitted to the United Nations. The UN General Assembly (UNGA) adopted a global Sustainable Development Agenda for 2016-30 on 25 September 2015. Regional cooperation for mutual benefit has been another major focus of his research, dialogues, and advocacy activities since the late 1980s. On the management of water resources in particular, he has, in cooperation with other experts in the field from Bangladesh and other South Asian regional countries, produced several pioneering research works on South Asia regional water issues, with particular reference to the Ganges-Brahmaputra-Meghna region. He has to his credit several other publications on water issues. Dr Ahmad has conducted a wide range of research works on policy planning, food and agriculture, environment and climate change, water resources, rural development and employment generation, poverty alleviation, human development, women in development and gender issues etc. He has written (alone or jointly with others) 38 books and over 250 learned articles, published at home and abroad. He is a former President (elected for three consecutive terms) of Bangladesh Economic Association (BEA), the founder Chairman of Bangladesh Unnayan Parishad (BUP), and a former Research Director at Bangladesh Institute of Development Studies (BIDS). He was the President of Kuala Lumpur based Association of Development Research and Training Institutes of Asia and the Pacific (ADIPA) during 1979-83 and the Vice-President of Rome based Society for International Development (SID) during 1988-91. He was also a member of Clean Development Mechanism (CDM) Executive Board under Kyoto Protocol of UNFCCC (2009-2014). He served as a member of the Intergovernmental Panel on Climate Change (IPCC) that won the Nobel Peace Prize in 2007, having been the Lead/Coordinating Author for the 3rd and the 4th Assessments, published respectively in 2001 and 2007. He was a member of the National Water Resources Council, the Government of Bangladesh (GoB), 1997-2001; and Honorary Adviser to the GoB’s National Water Policy and National Water Management Plan formulation processes, 1998-2001. 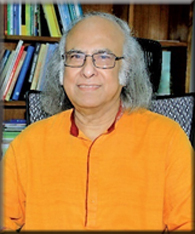 He was awarded the Ekushey Padak in 2009 for his outstanding poverty alleviation activities, one of the highest national civilian awards, presented by the Government of Bangladesh. Mr Md. 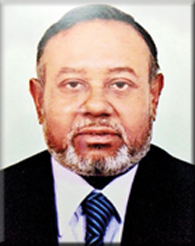 Abdul Karim, a former Principal Secretary to the Government of Bangladesh, is the Managing Director of PKSF. He is also an ex-officio member of its General Body and Governing Body. Earlier, Mr Karim worked in the administrative service as Assistant Commissioner, Magistrate and Chief Executive Officer of a number of local bodies. He served as the Economic and Commercial Minister/Counsellor of Bangladesh Embassy in Brussels, Belgium. He served the Government as a Secretary in the Ministries of Commerce, Fisheries and Livestock, Home Affairs, Communications (Bridges Division) and Finance (Internal Resources Division) before his appointment as Principal Secretary. He was the Chairman of the National Board of Revenue (NBR) and a number of state-owned companies including the lone refinery of the country, the Eastern Refinery Limited. He was the ex-officio Chairperson of a number of national-level committees of various Ministries while serving as Principal Secretary. Having completed his M.Sc. in Chemistry from the University of Chittagong, Mr Karim obtained Master of Social Science degree in Development Administration from the University of Birmingham, UK. He participated in many professional training programs at home and abroad and attended many international summits, conferences, meetings and seminars including the United Nations General Assembly, LDC Summits, D-8 Summits, the UN Conference of Parties (COP) on Climate Change etc. Mr Karim is the Secretary General of the South East Asian Cooperation (SEACO) Foundation, Bangladesh which is working at the civil society level for trade and investment promotion among five countries of the South and South East Asian region. He is a Board Member of the Institute for Inclusive Finance and Development (InM), Microcredit Regulatory Authority (MRA), Social Development Foundation (SDF), Small Farmers Development Foundation (SFDF) etc. A Paul Harris Fellow (PHF) Rotarian, Mr Karim is the Past President (PP) of the Rotary Club of Dhaka Buriganga. He is the President of Bangladesh Deaf Sports Federation and past President of Bangladesh Scouts (Boy Scouts and Girl Guides). Mr Karim has received the highest Scout Award of the country. He is now the Advisor of Bangladesh Scouts and President of Bangladesh Scouts Foundation. Mr Karim is the President of Allama Rumy Society, Bangladesh and is involved with some other socio-economic organisations. Currently, Mr Karim is the Chairman of Green Delta Insurance Company and an Independent Director of Union Capital Ltd. He is the President of Bangladesh Chemical Society (BCS) and member of the Board of Advisors of the Asian University for Women in Chittagong, Bangladesh. Mr Karim is a member of the Honorary Advisory Board of Country Programme Document (CPD) of the UNDP Bangladesh for the 2017-2021 cycle. He is the Advisory Board Member of the Center for Education and Community Development (CECD) under Vietnam Association for Education Psychology Science. He is also the Strategic Advisor to Shanghai Changing Oriental Hongqiao Microloan Company of China. He is a Jury Board Member of Citi-NA Export Excellence Award, HSBC Export Excellence Award, Institute of Chartered Secretaries of Bangladesh Excellence Award etc. As a guest speaker, Mr Karim has lectured at various universities and training institutes including North South University, Public Administration Training Center, National Defence College of Bangladesh, National Academy for Planning, Bangladesh Civil Service Administration Academy etc. He has authored books and articles on local government and other subjects. Mr Karim has travelled to more than 50 countries of the world. He is a member of various elite social clubs of the country. He is married and has been blessed with three children. Mr Karim is leading PKSF towards implementation of holistic, people-centered integrated programmes and projects for poverty alleviation, inclusive financing and sustainable development of Bangladesh. Dr Pratima Paul-Majumder is one of the former Senior Research Fellows of Bangladesh Institute of Development Studies (BIDS). She conducted an intensive research on ‘Cooperative Way of Agricultural Development in Bangladesh’ for which she was awarded PhD degree from the University of Warsaw, Poland. Dr Paul-Majumder is a pioneer researcher who undertook studies on the prevailing working conditions in the garment sector since 1990. She is also a pioneer researcher who undertook studies on urban poverty. She has been sincerely and continuously working on the issue of gender budgeting for over a decade. She has a very commendable action research on the state of women of the religious minority communities. She served as consultant to numerous research projects conducted by various national and international organisations. Ambassador Munshi Faiz Ahmad is the present Chairman of Bangladesh Institute of International and Strategic Studies (BIISS). It is a state owned autonomous national research institute and think tank that carries out research on international affairs, security and developmental issues in Bangladesh. Ambassador Ahmad is well-known for his significant role in the Ministry of Foreign Affairs of Bangladesh. He started his career as an Assistant Secretary in the Ministry of Foreign Affairs in March 1979. He served in different capacities in the Head Quarter and in Bangladesh Missions in Beijing, Hong Kong, London, Qatar, New York and the UN, before he was appointed as the High Commissioner of Bangladesh to Singapore in 2003 and as the Ambassador of Bangladesh to the People’s Republic of China during 2007-2012. Ambassador Munshi Faiz Ahmad was born in 1952. He obtained his M.A. degree in Political Science from the University of Dhaka. He attended numerous conferences and training during his service period in the Ministry of Foreign Affairs. Ms Parveen Mahmud, FCA, has a varied professional career including working substantial time with national and international development agencies. She was a partner of ACNABIN, Chartered Accountants. She started her career with BRAC, and was the Deputy Managing Director of Palli Karma-Sahayak Foundation (PKSF). She is the founding Managing Director (MD) of the Grameen Telecom Trust. 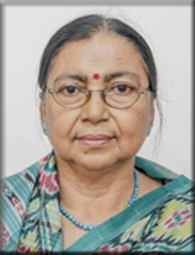 Ms Mahmud served three terms in the council of theInstitute of Chartered Accountants of Bangladesh (ICAB). She was the first woman council member and the President of the ICAB. 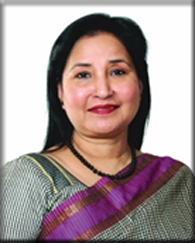 She was also, the first female board member of the South Asian Federation of Accountants (SAFA), the apex accounting professional body of the SAARC. She is the Chairperson of CA Female Forum- Women in Leadership Committee, ICAB and is the Vice Chairperson of the Women in Leadership Committee of SAFA. She sits in numerous boards including Transparency International Bangladesh (TIB), BRAC International, PKSF, RDRS, Manusher Jonnyo Foundation (MJF), Grameenphone Ltd., Linde Bangladesh Ltd., etc. She is the member of the think tank Centre for Policy Dialogue (CPD) and International Chamber of Commerce (ICC), Bangladesh. Ms Mahmud is the Chairperson of Micro Industries Development and Assistance Services (MIDAS) and Shasha Denims Ltd. She was the Chairperson of Acid Survivor’s Foundation and became Chairperson of Underprivileged Children Education Program (UCEP) – Bangladesh for 2019-2020. She was the member of National Advisory Panel for SME Development of Bangladesh and founding board member of SME Foundation as well as the convener of SME Women’s Forum. Ms Mahmud was also a Working Group Member of Consultative Group on Social Indicators at UNCTAD/ISAR. She is the recipient of “Joya Alokito Nari-2018” award from RTV, “Women at Work-2017” award from Association of Software and Information Services (BASIS) and “Women of Inspiration Awards”-2017 from the Bangladesh Organization for Learning & Development (BOLD). Ms Mahmud was awarded “Begum Rokeya Shining Personality Award- 2006” for women’s empowerment by the Narikantha Foundation. Ms Nazneen Sultana is the former Deputy Governor of Bangladesh Bank. In fact, she was the first female Deputy Governor of Bangladesh Bank. As a Deputy Governor she performed her responsibilities in the Human Resources Departments, Information Systems Development Department, IT Operation and Communication Department, Credit Information Bureau, Foreign Exchange Investment Department, Foreign Exchange Operation Department and Foreign Exchange Policy Department. Before this position Ms Sultana served the Bangladesh Bank as an Executive Director. She was also the Project Manager for Bangladesh Bank of Standard Hardware and Software Package and ERP Package financed by the World Bank. She has versatile experience on central banking over 30 years in managing critical supervisory issues of the country. She acted as the key leader in developing the automation system in Bangladesh Bank. 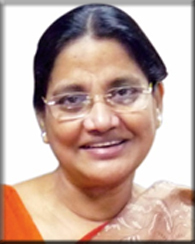 Ms Sultana obtained her Master’s degree with Honours in Physics from the University of Dhaka.She is also the member of the governing bodies of InM. Dr Toufic Ahmad Choudhury is the former Director General (DG) of Bangladesh Institute of Bank Management (BIBM). He served as the elected General Secretary of Bangladesh Economic Association (BEA) for the consecutive two terms during 2010-2014. Dr Toufic is serving as a Board Member of Institute for Inclusive Finance and Development (InM), Microcredit Regulatory Authority (MRA) as well as Small and Medium Enterprise (SME) Foundation. He is the General Secretary of Bangladesh Economic Association (BEA), the Member Secretary, Governing Body, Dhaka School of Economics and a Member of Banking Committee of International Chamber of Commerce, Bangladesh (ICCB). Dr Toufic prepared a background paper on Financial Market for the Planning Commission with the purpose of formulating Perspective Plan of Bangladesh. Dr Toufic, a 1980 economics graduate of Jahangirnagar University, obtained his PhD from Himachal Pradesh University, Shimla, India. Now-a-days he has been associated with various professional organisations.